I’ve been to Davao a lot of times but there are still a lot of things to explore! Davao is huge and one visit is not enough. Sharlyne and I are very excited to be one of the chosen lucky participants of this year’s DFAT (Davao Food Appreciation Tour). 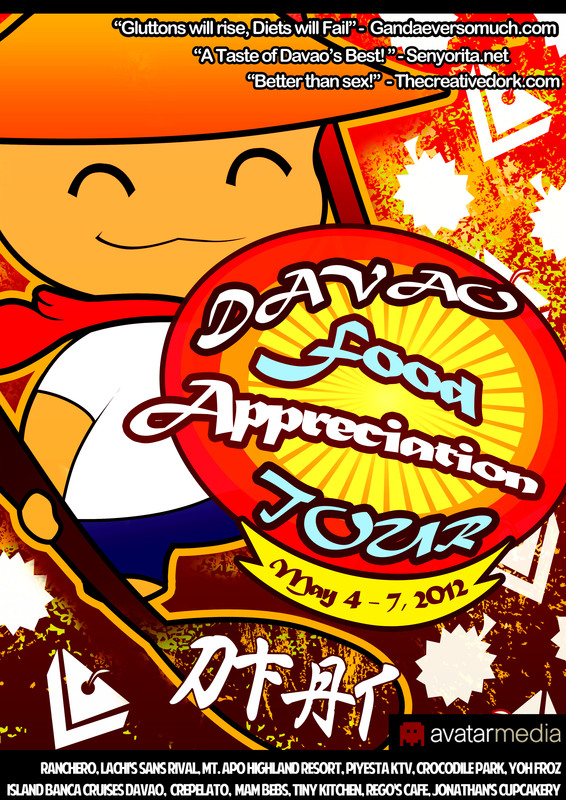 Our gastronomic feast begins tomorrow, May 4, 2012 and our Davao food tripping will end on May 7, 2012.